The National Maritime College of Ireland is enabling two lucky people to join The Tall Ships Races 2012 on 12th August in A Coruña, Galicia, Spain and sail all the way to Dublin. This support, enabled by the Maritime Learning Network ‘MarLeaNet’, an EU project – a network of maritime training centres in Portugal, Spain, France and Ireland, was announced today at the Mansion House in Dublin. 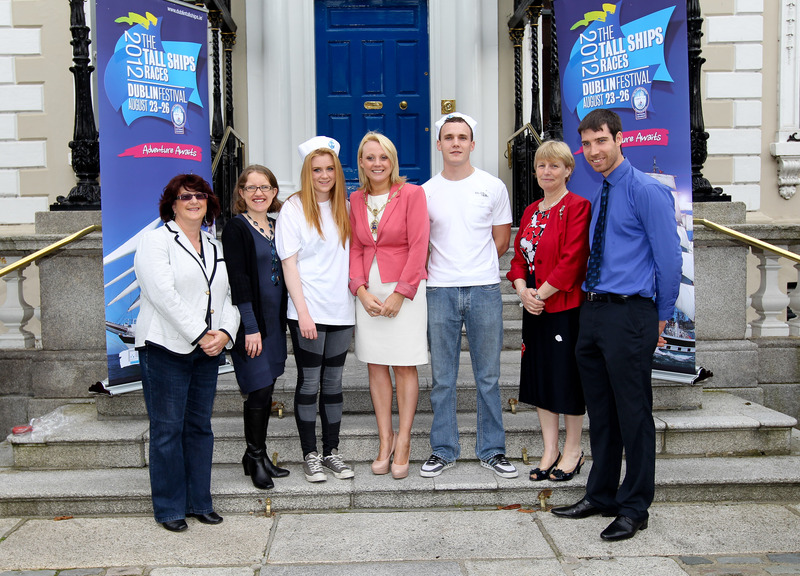 Launched by Deputy Lord Mayor of Dublin Clare Byrne, The Tall Ships Races 2012 – Dublin trainee programme enables over 50 Irish 18-25 year old trainees to experience life and work on board 6 magnificent Tall Ships. The first trainee, Ryan Hawes turns 23 later this week and will join the ship Kapitan Borchardt, a Polish vessel just under 34m in length and built in 1918. Our second trainee, 18-year-old Patrol Leader and Watch Leader in Dollymount Sea Scouts, Orla Kelly, will join the Johanna Lucretia, a 27m vessel with a UK flag. The National Maritime College of Ireland (NMCI), located in Ringaskiddy, Co Cork, in the second largest natural harbour in the world. A constituent college of Cork Institute of Technology, the NMCI is a state of the art facility that provides training and education for the Merchant Marine and the Irish Naval Service. “The NMCI provides training to the seafarers of tomorrow in its specialist facility, which includes survival training facilities, fire fighting / damage control training, confined space training, jetty and lifeboat facilities”, says Grainne Lynch, Project Manager of the MarLeaNet project in the NMCI. “The MarLeaNet project allows the NMCI to work with other training centres all along the route of the Tall Ships Race in, France, Portugal and Spain.” The NMCI also provides specialist simulation equipment for teaching navigation, communications, engineering-machinery operations and vessel traffic systems. Sum of 5 + 9 ?